U.S. President Donald Trump gestures as he delivers a speech during the World Economic Forum (WEF) annual meeting in Davos, Switzerland January 26, 2018. 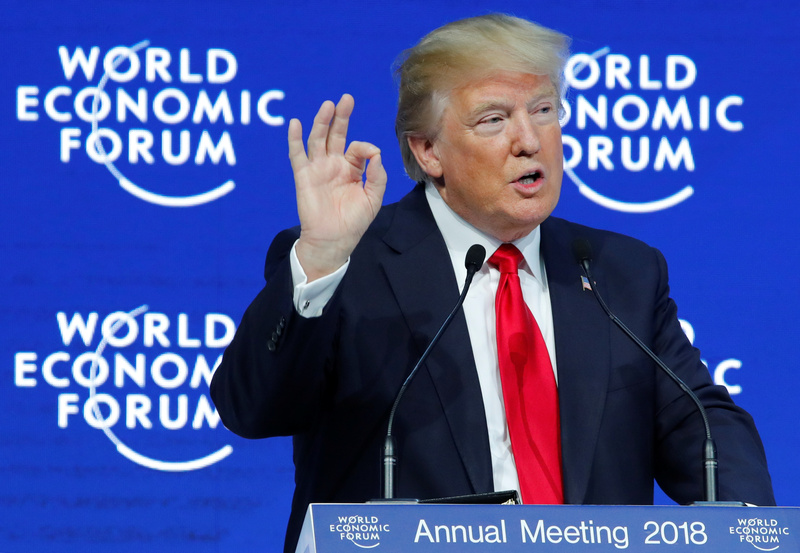 U.S. President Donald Trump took his “America First” message to Davos on Jan. 26, telling a summit of business and political leaders that the United States would “no longer turn a blind eye” to what he described as unfair trade practices. It is the first time that a sitting American president has attended the World Economic Forum in the Swiss ski resort since President Bill Clinton in 2000.